New Jersey 101.5 (WKXW-FM Townsquare Media) has announced that part-time host Steve Trevelise has earned full time status on the Monday thru Thursday 7pm-11pm timeslot. A “Jersey Boy”, Trevelise was born in Newark, raised in Union City, moved to Marlboro when he was 15, and has lived in Old Bridge, Eatontown, East Windsor and Roosevelt, New Jersey. 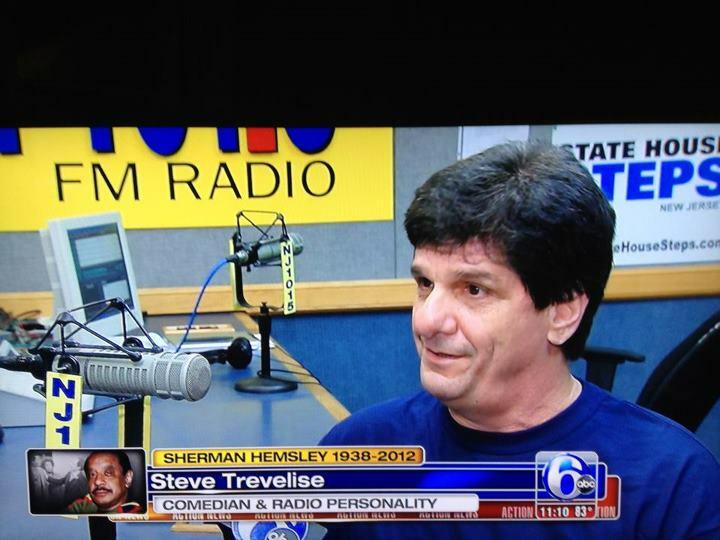 Steve started his radio career in Long Branch and Trenton NJ, and has spent the majority of his career working in Philadelphia. Steve started part-time at New Jersey 101.5 two years ago. In addition to his radio career, Trevelise is a stand-up comedian and has performed at and owned comedy clubs in New Jersey. He currently owns and operates Sarcasm Comedy Club. Trevelise draws his material for his radio show and stand-up act not only from his life, but what goes on around him here in the Great Garden State. Copyright © 2012 - Sounds Exciting Studios. All rights reserved.